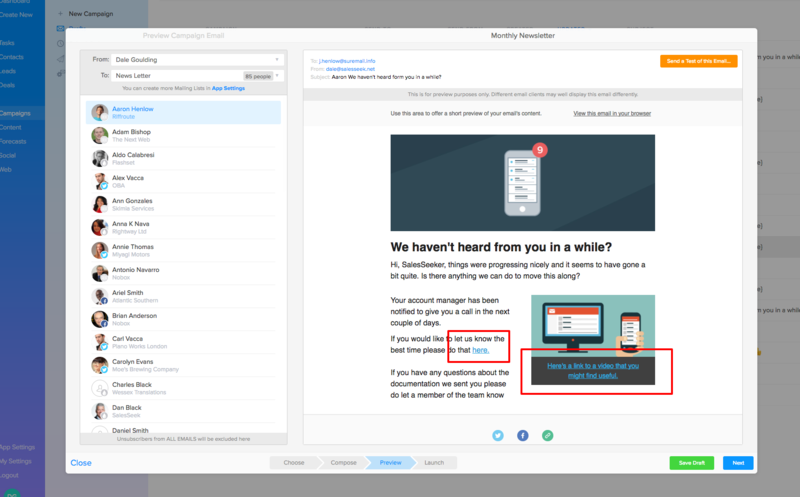 Tracking a specific hyperlink in an email campaign. 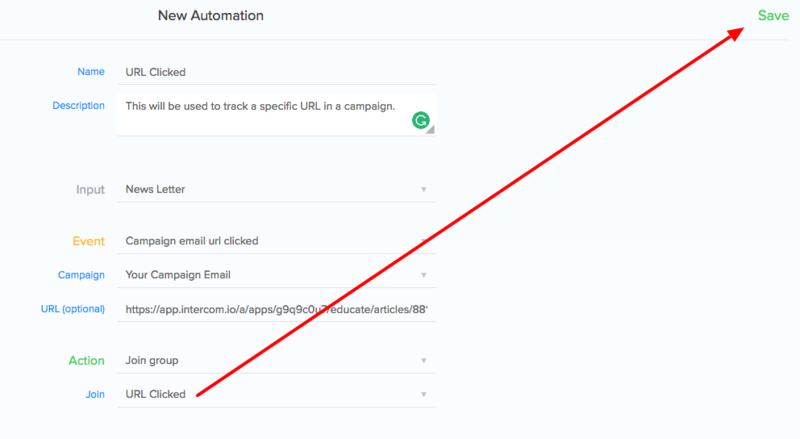 How to track a hyperlink in a sent email campaign when you have multiple URLs within one email. When sending an email campaign from SalesSeek often you will want to distinguish between different hyperlinks that have been clicked by the recipients. This can help if you are posting links to multiple blog articles, providing different offers or sending visitors to different pages on your website. Step 1. Create your email campaign and send/schedule it. Step 2. 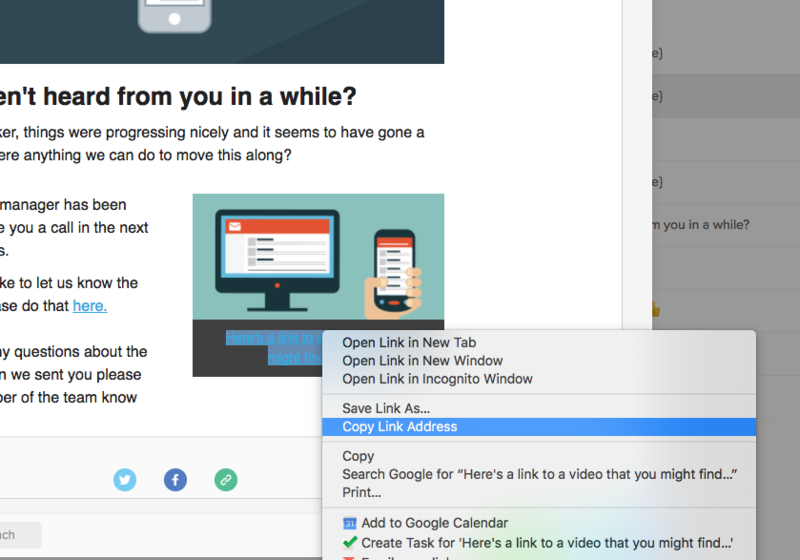 You want to collect the individual URL that you wish to track. In this case, we have two URL's to choose from. To select the URL you wish track simply, right click and select "copy link address"
Step 4. 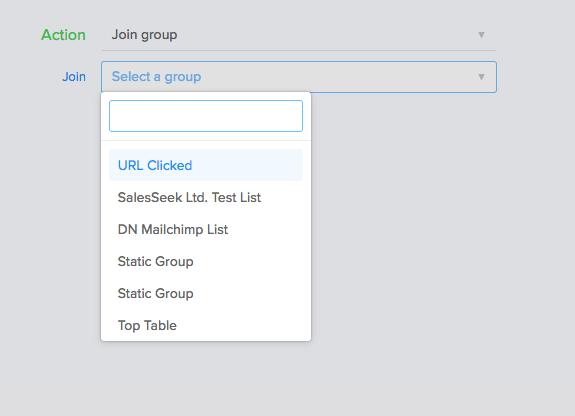 Create an automation to add anyone who clicks the link into the newly created static group (NB. You can use a pre-existing group if you choose). Next you want to add in the Name & Description. In the Input field, you want to select the Mailing List that the campaing email is going to be sent to. 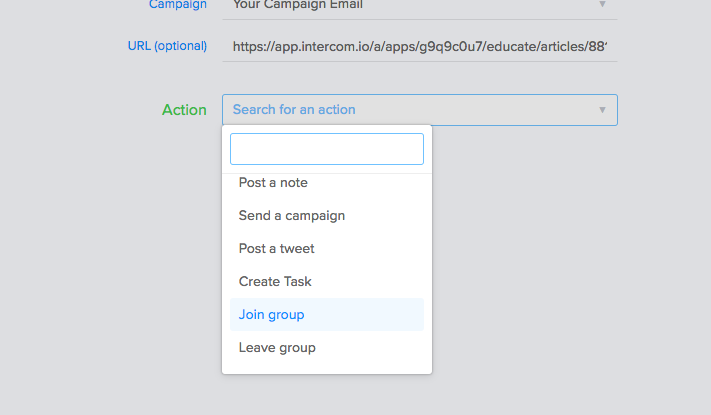 When you have selected this you will get the option to select the campaign that you would like to track. In Campaign select the appropriate campaign you wish to track. In URL (optional) you can paste the URL that we copied from the campaign. After you have selected 'Join Group' choose the static group that we previously created. When you have reviewed and you are satisfied with your automation. You can go back to the Leads > Automation and click the 'Play Icon' to run your automation. NB. Your automation will not run if this has not been clicked. That's it, you're good to go with tracking your specific URLs in camapigns.